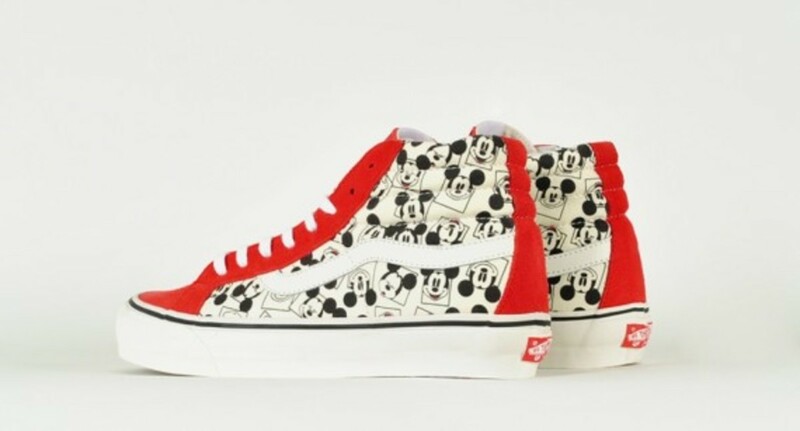 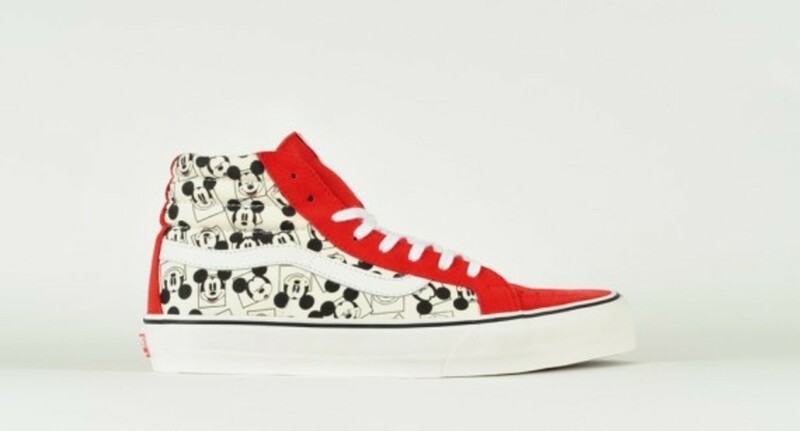 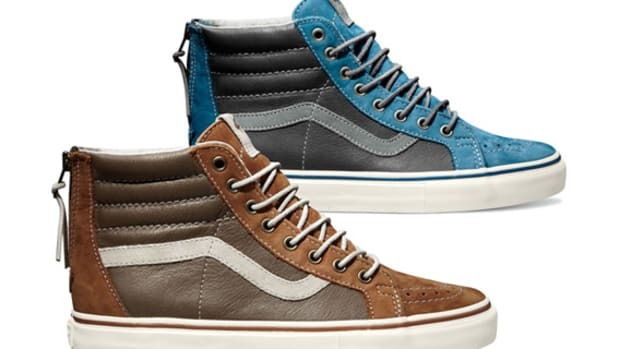 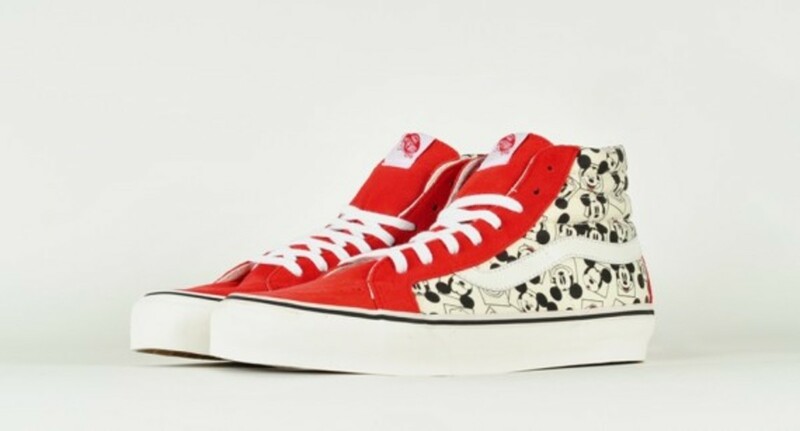 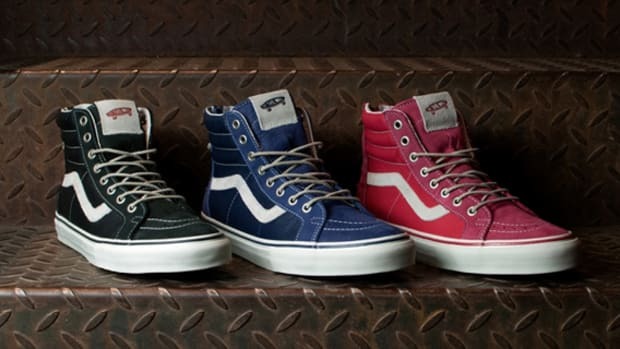 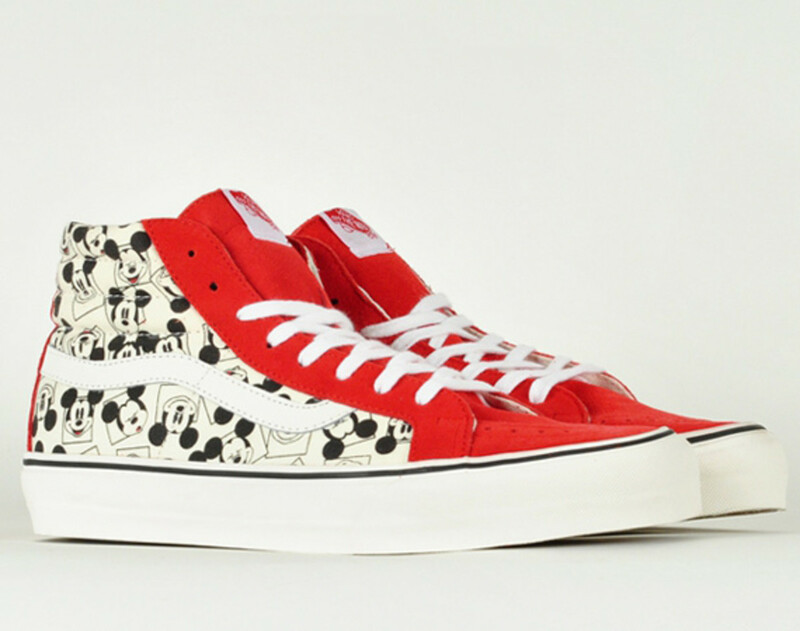 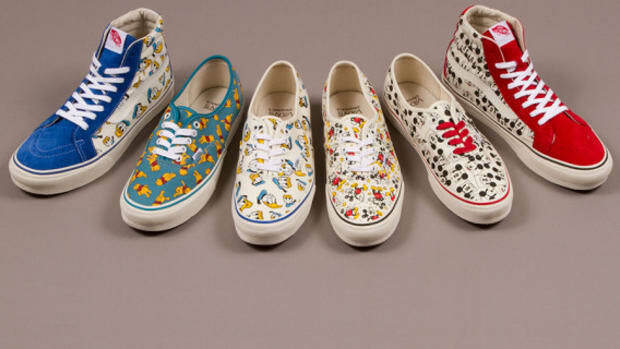 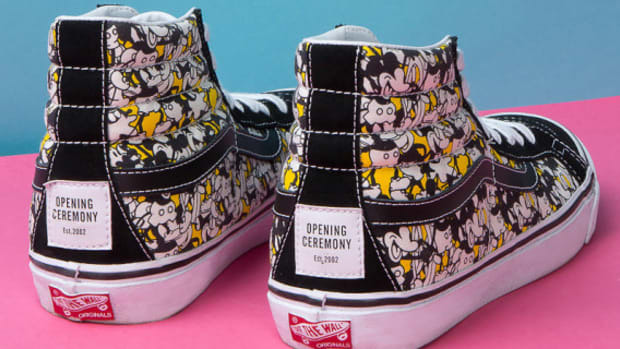 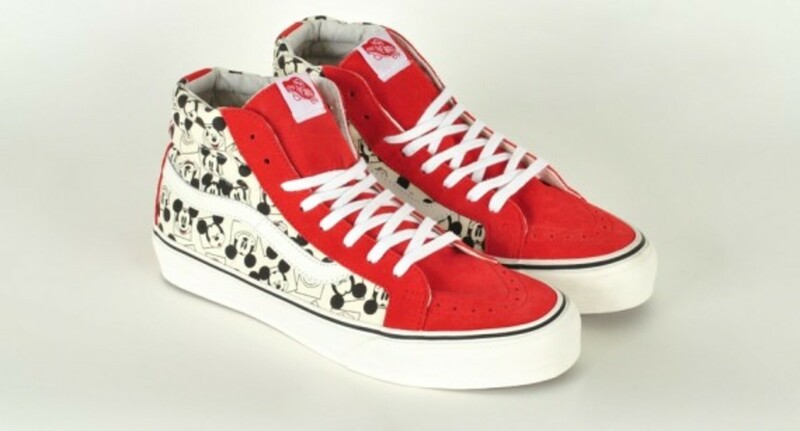 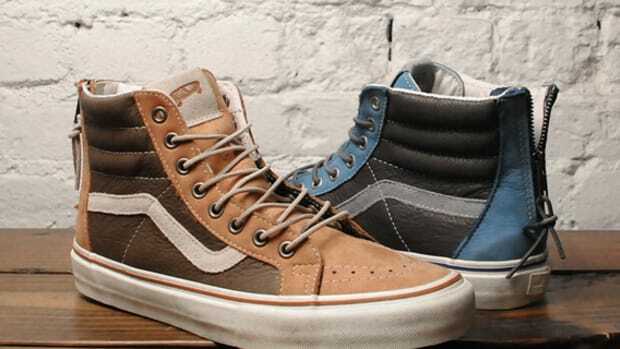 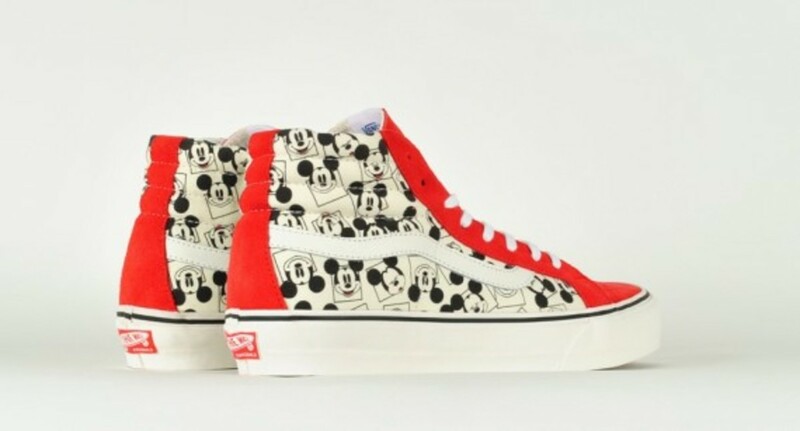 Vans Vault and Disney looked into their past for their latest collaboration as they&apos;ve brought back a SK8 Hi featuring a "Mickey Mouse" print which was originally released as a Disney World exclusive back in the 80s. 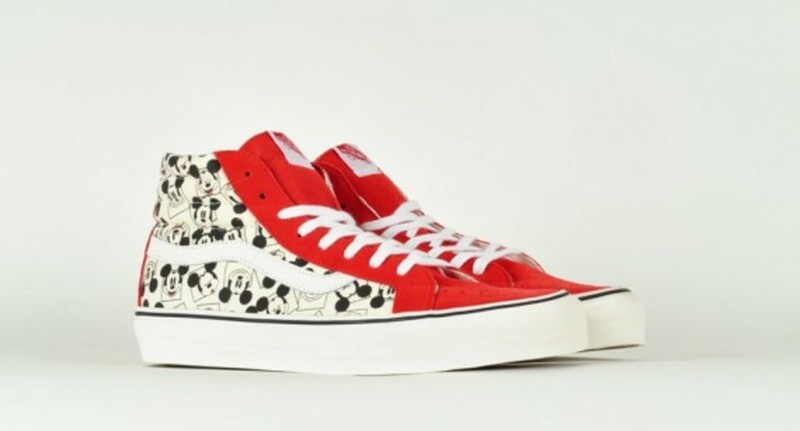 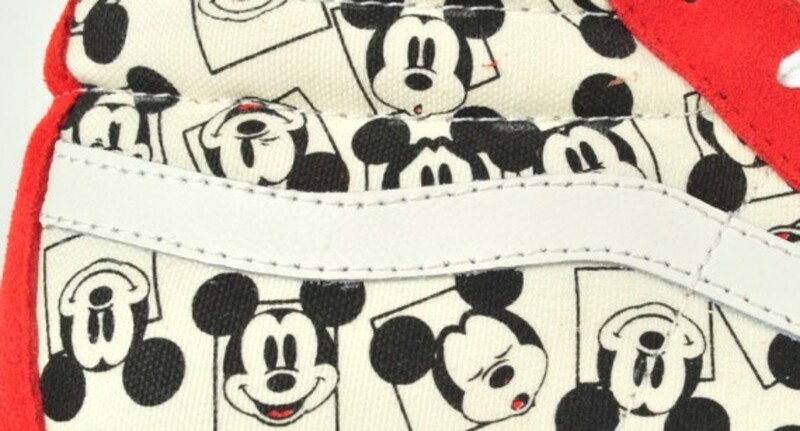 The popular Vans model features the aforementioned "Mickey" graphic screen printed in black on an off white canvas upper with the side stripe done in white leather sitting atop. 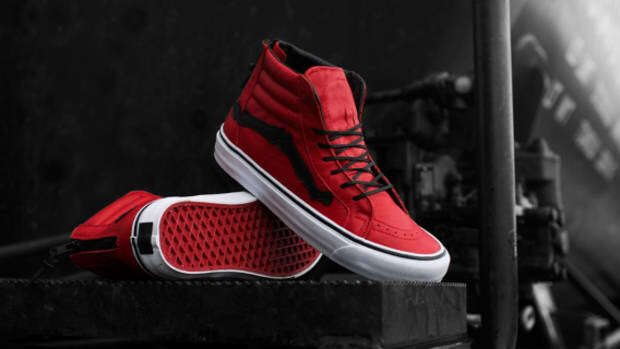 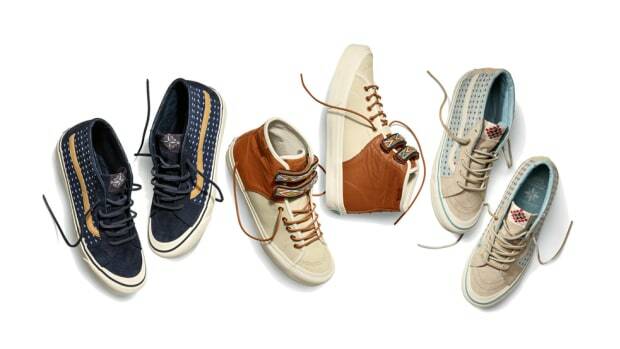 Red suede provides the color pop with white flat laces providing contrast. 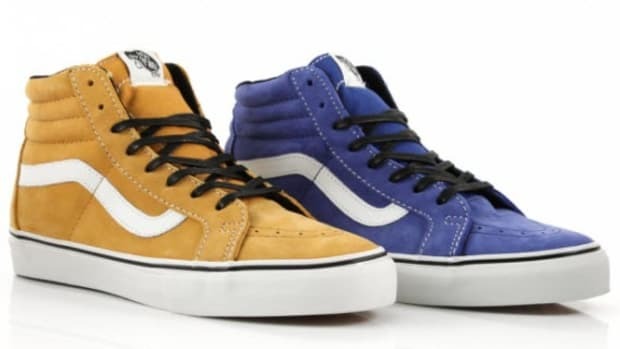 For those interested in this retro&apos;d classic, check out Uebervart.